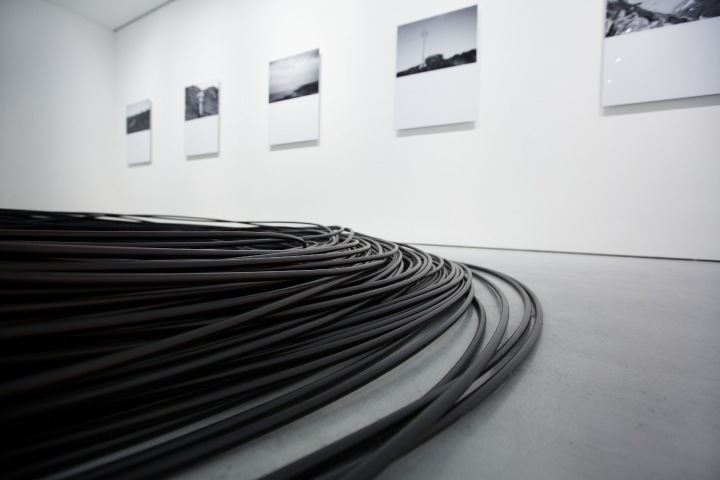 Burial Ceremony is a monumental sculpture created from 2km of direct bury fiber optic cable. Generally shipped on large wooden spools, fiber optic cable must be unspooled before it is placed underground. It is an industry standard best practice to lay the cable out in this figure-eight shape (which also resembles the infinity symbol) in order to prevent twisting and pressure on the fibers. 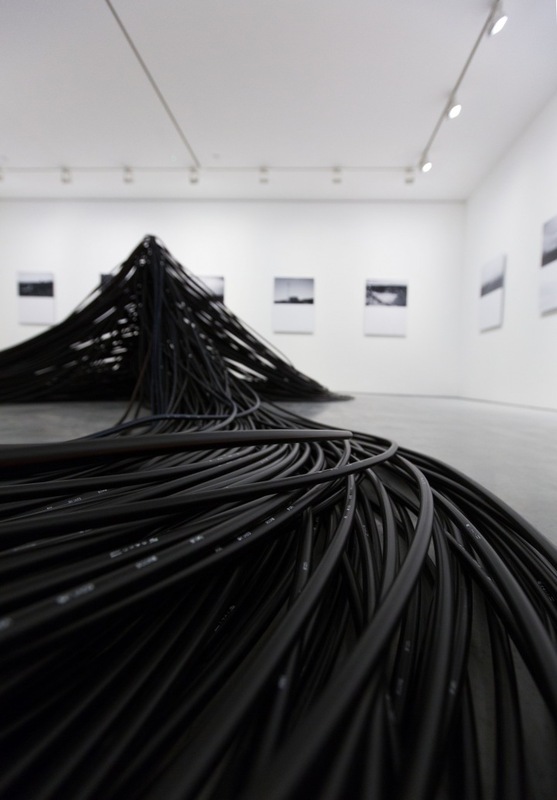 As the cable repeatedly crosses over itself, it rises upward to create a pyramidal form. 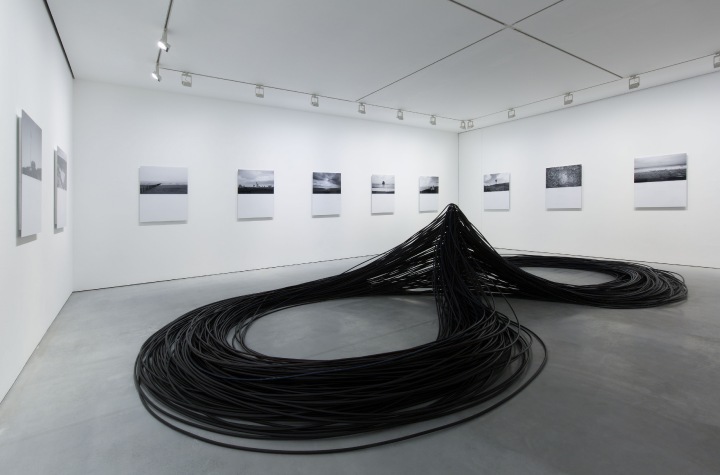 The work stands as a monument to an otherwise monument-less Internet, and invites the viewer to share proximity with a typically invisible and yet fundamental physical element of the Internet. Voices over the Horizon, Carroll/Fletcher in London.